25 Commercial Real Estate and Properties in Sa Country Mid North are listed in 6 categories. We have 9 Retail Shops for Sale & Lease , 8 Offices for Sale & Lease , 3 Commercial Farms for Sale & Lease , 2 Industrial Warehouses for Sale & Lease , 2 Hotels and Leisure for Sale & Lease and 1 Other Commercial Properties for Sale & Lease . This neat office on William Street in Berri will be perfect for the small operator that commands good location and foot traffic. 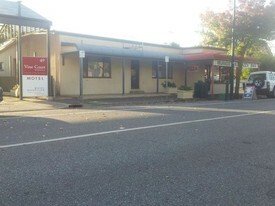 Situated on a busy business street, clients will find you very easy to locate. The office space holds a good sized reception, 2 complete office rooms able to be closed off for privacy, along with an area at the back for setting up a kitchen or filing system. There is a shared toilet with the office next door at the rear of the building with easy access through a rear office door. Owner willing to negotiate on rent. All outgoings will be paid for by the tenant/Lessee. Situated on William Street in the heart of Berri's CBD is a block of offices ready to occupy. Previously home to the Riverland Almond Board with 10 large individual well lit offices plus fully equipped kitchen, staff room, board room, large reception area, 2 filing rooms with shelving, IT room, 2 large storage rooms, Reverse cycle Air Conditioner, shower and toilets and even a wet area or Laundry. There is a disabled toilet but no disability access to the offices. It's up a wide flight of stairs creating a dramatic entry, so it will be restricting to foot traffic but great for something similar to a call centre operation or Head office for a busy organisation that wont be needing the passing traffic for business. All power, water and outgoings to be paid by the tenant. Rent negotiable so make a reasonable offer. 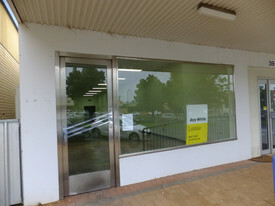 9 Kay Ave Berri has been home to Westfarmers Insurance for many years and there is now 1 large room available for lease. This space is at the front of the complex and offers 120.26m2 of carpeted space. There is already 1 private office and a compactus system ready for use. It's a shared complex with 2 other Companies. Upstairs is a well equip board room and kitchen which can be booked on a roster system. There is also an upstairs balcony/smoking area that can be enjoyed by all staff members. Outgoings are shared and proportionate to m2 per office leased. Currently this space incurs approximately $7000pa of outgoings. Please contact our office to look over the space. All reasonable offers to lease will be considered. 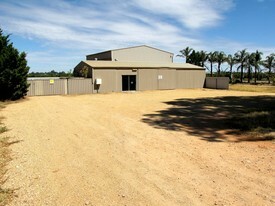 Shop 9 Colonial Court Barmera, situated in a group of 9 shops/office and offering a quiet tranquil work environment. This shop is open plan with an area of 66.6m2, fully carpeted with cooling and heating. The property will be leased empty. There is a small kitchen at the rear of the office space and the toilet is a shared facility with the other 8 shops. 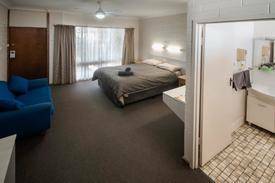 There is ample car parking at the rear of the building and the complex is just a short walk to the Post office, Lake Bonney and other shops within the main CBD. Tenant to pay for Council Rates, Power, part water and part ESL (outgoings) Long or short term tenants please enquire and rent amount will be given on enquiry. 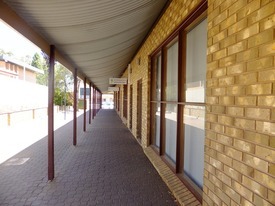 Shop 8 Colonial Court Barmera, situated in a group of 9 shops/office and offering a quiet tranquil work environment. This shop is fitted out with a reception area, reception desk, arch way to the main office with a small kitchen and 2nd smaller office at the rear of the premises. It is 81m2. Fully carpeted, air conditioned and heated. The toilet is a shared facility with the other 8 shops. Tenant to pay for Council Rates, Power, part water and part ESL (outgoings) Long or short term tenants please enquire and rent amount will be given on enquiry. 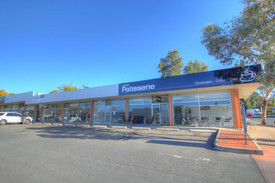 Shops 5, 6 and 7 in the Colonial Court complex Barmera, offer a combined space of approximately 130 m2. These 3 great areas incorporate a Kitchen and storage with rear access to shared toilet facilities. The Premises is air conditioned but not heated. The tenant is to pay all outgoings being power, part water, council rates and part ESL. 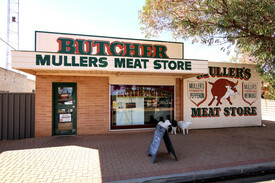 Located close to the Barmera post office and other main CBD shops. Ample car parking at the rear of the building. Previously this premises has been utilitsed as a Chinese restaurant, cafe, material shop with coffee facilities, Hairdresser and beauty salon. With a bit of an imagination, it could be transformed into a day facility for exercising, craft etc while offering a separate area for participants to enjoy tea and coffee facilities. You need to have a look at this premises to appreciate what it offers. Rent is on application and negotiable. Set in a quiet walk through paved Court of 9 shops, we have shop 3 4 available for immediate lease. Short or long term with the lease quoted on enquiry. Carpeted through out with their own small Kitchen. There is Male and Female toilets at the back of the block, with access to the court from both Barwell Ave (the main street) or from the large rear car park. Security doors fitted to each office/shop. Cooling only provided, no heating. The court yard to these shops is neatly paved with a small garden bed that ads to the ambience of this neat block of shops. Toilets and gardens maintained by the Landlord. All outgoings to be paid for by the tenant with Power their own expense and water shared with occupied offices. Located in the main street of Waikerie, this property has four shop fronts with two long term tenants (Intercare and a Laundromat) and is on a large allotment of land. Currently all of the shop fronts are tenanted. The shops offer extremely good exposure to both vehicle and foot traffic. The rear lane access, secure parking and loading space at rear, together with ample parking at the front make it a great location for any business. 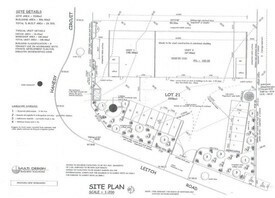 So if you're looking for a commercial venture with lots of potential, call today!